Have a leisurely breakfast and proceed to Agra enroute visit Fatehpur Sikri. 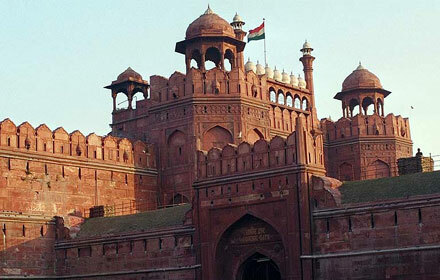 One enters Sikri from the Agra Gate, one of the nine gateways on the way to the palace complex. Diwan-i-Aam or the hall of public audience appears first. It is a huge rectangular walled-in courtyard where petitions were heard, proclamations made, ambassadors received and entertainment programme held. Ponder the mysterious desertion of this capital city that was dramatically abandoned a few years after it was built. 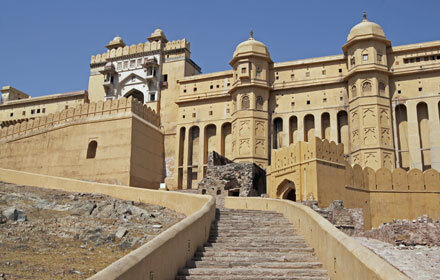 It was a veritable fairy tale city and its ’’ruins’’ are still in a pristine condition. Though over 400 years old, Fatehpur Sikri is still perfectly preserved. 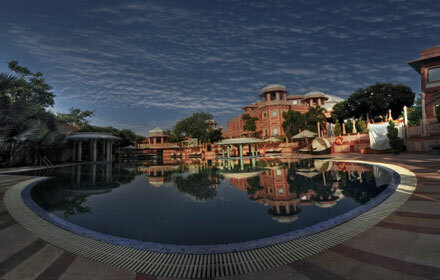 Reach Agra and check in at hotel. In the evening visit the Taj Mahal during Sunset. 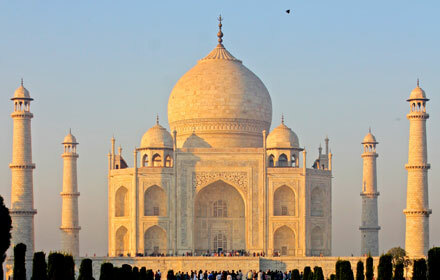 The Taj Mahal was built by an emperor in memory of his beloved queen. Construction of the Taj Mahal began in 1631 and is believed to have taken 18 years to complete with over 20,000 craftsmen who worked around the clock. 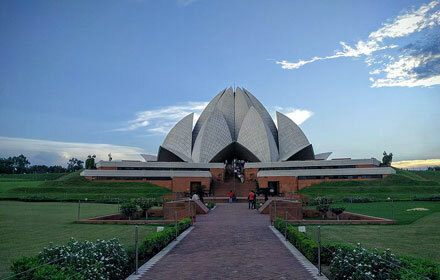 The design and construction is said to be that of the legendary architect Ustad Ahamad Lahori. Legend has it that once construction was completed, Shah Jahan had Lahori’’s hands cut off and blinded, so he would never be able to duplicate the structure. What makes Taj Mahal unique is its perfect proportions, distinct femininity, medium of construction and ornamentation. 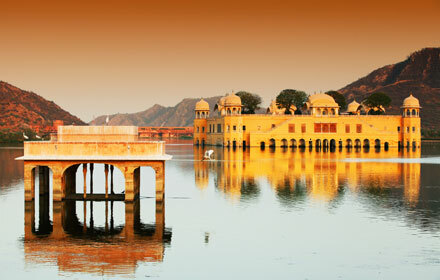 Its marble exterior reflects rose and golden tints during sunrise and sunset, while it is dazzling white during the day. Overnight at Hotel. 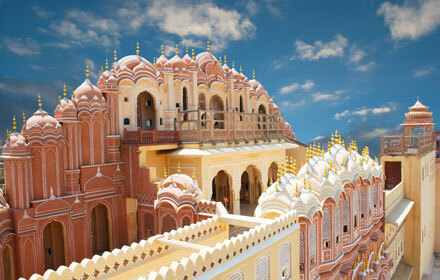 Conveniently located in the Jaipur City Centre, Suryaa Villa, Jaipur, is bordered by numerous historic attractions which are a resplendent reminder of the royal heritage that respired within the walls of the Pink City. 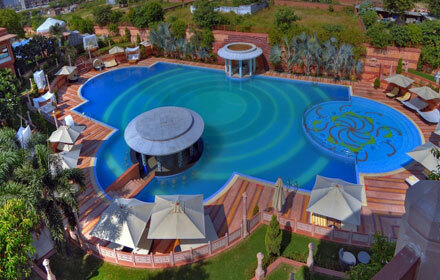 We are amongst the finest heritage home hotels in Jaipur which have opened their doors to render the precise sense of redefined luxury to guests. 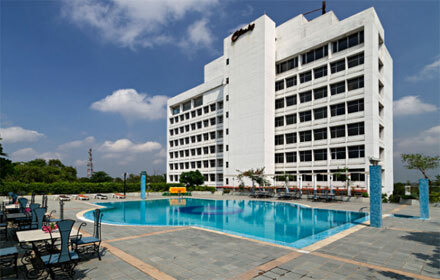 Hotel Atulyaa Taj features a roof top that overlooks the UNESCO World Heritage Site Taj Mahal, located 500 m away. 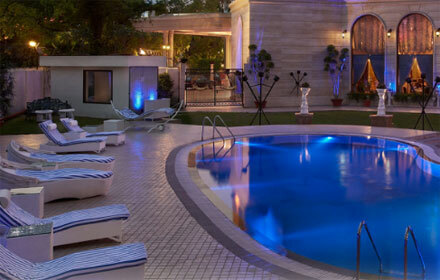 Guests can head to the well-maintained outdoor swimming pool for a refreshing dip. Free WiFi access is available in all areas. 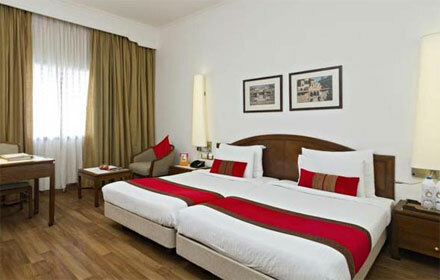 The air-conditioned rooms feature a flat-screen cable TV and dining area. An electric kettle and a minibar are available. The attached bathrooms are equipped with a shower, hairdryer and free toiletries.